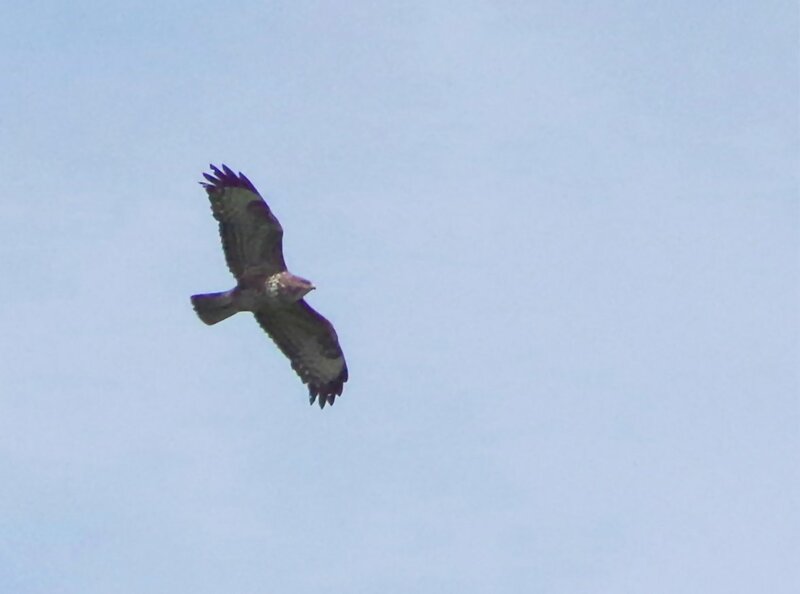 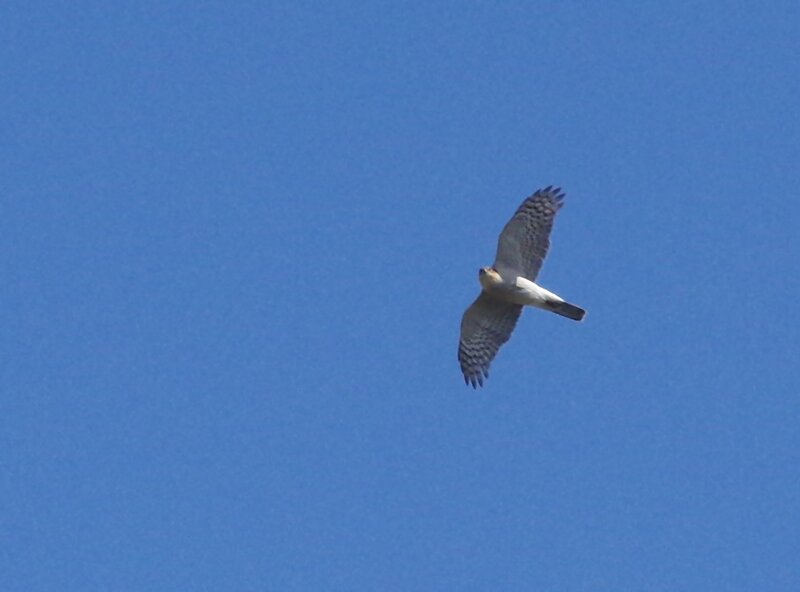 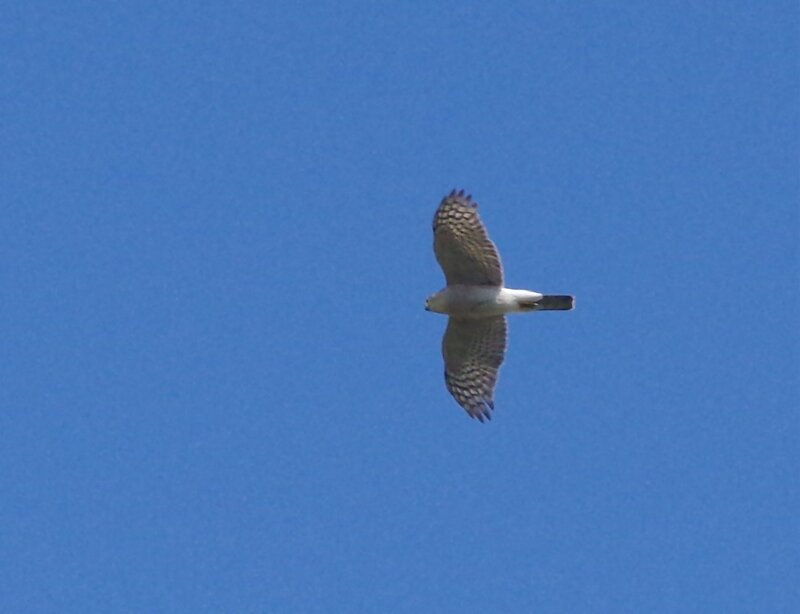 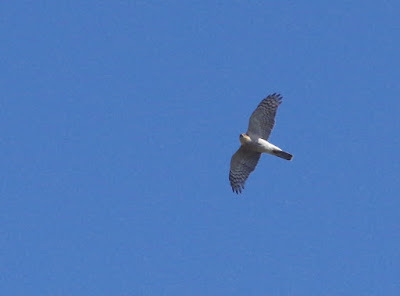 Birds of the Heath: The biggest Sparrowhawk I've ever seen! 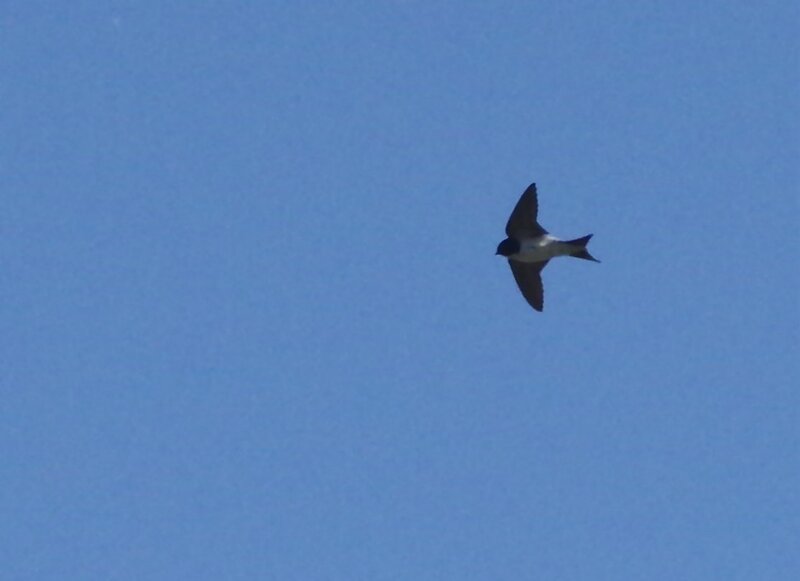 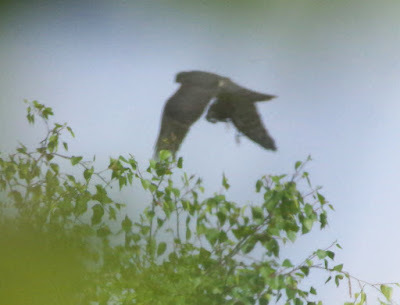 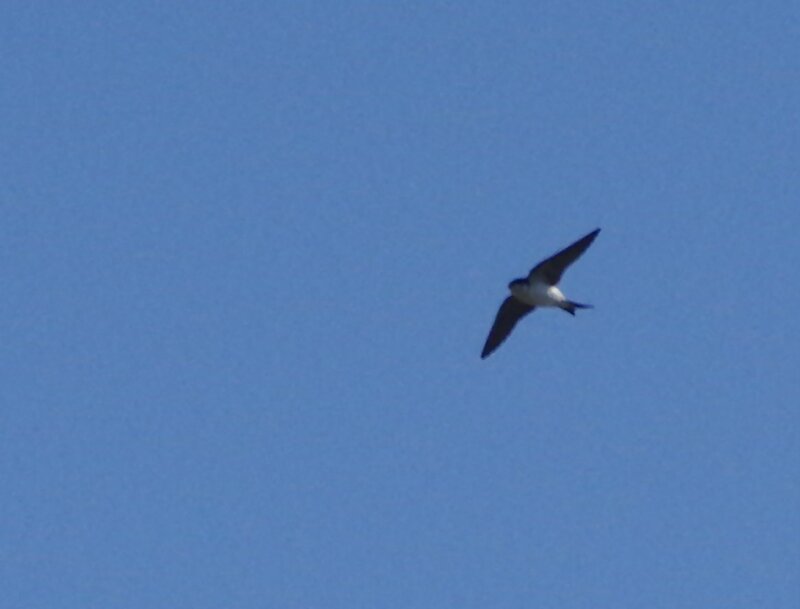 As I was lighting the barbecue tonight, I glanced up to see a flock of House Martins and Swallows 'chittering' away at a male Sparrowhawk: nearby was a soaring Buzzard - all most acceptable! 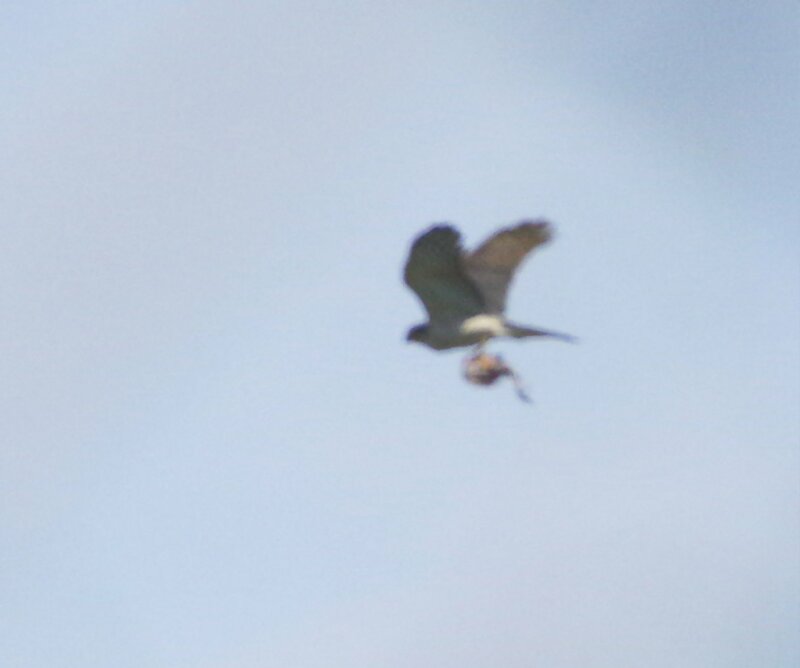 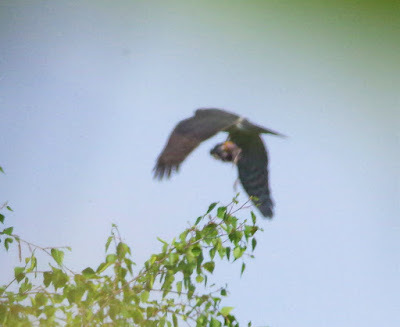 I went indoors for my camera, in time to grab a couple of blurry shots of an absolutely huge female Sprawk: it was easily Buzzard-sized! 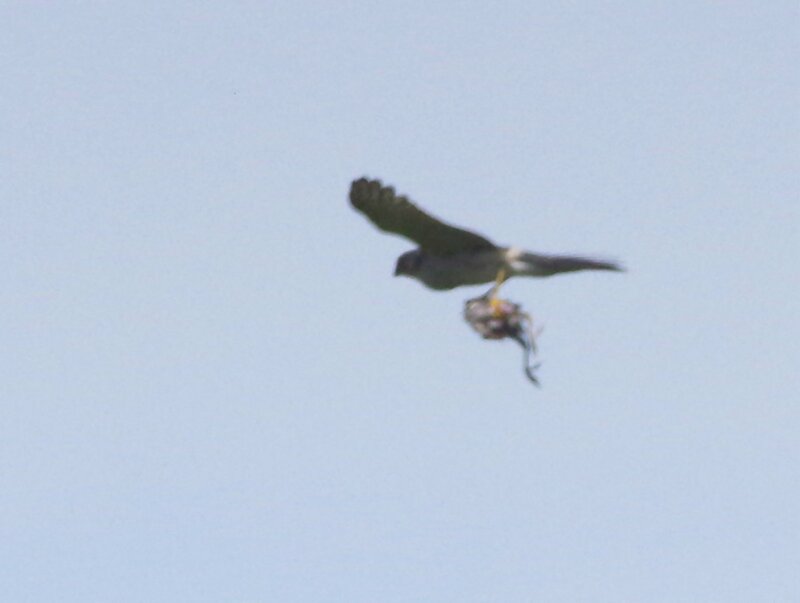 The prey item it's carrying is a pullet: a half-grown chicken!